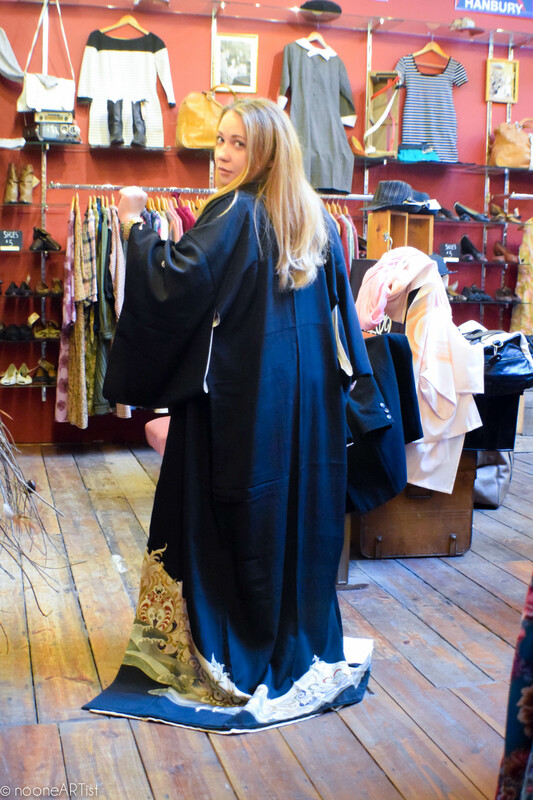 Today we visited London’s best vintage shop and had an amazing opportunity to talk with the manager Gennaro Boccia about Blitz interior design, clothes and future plans. 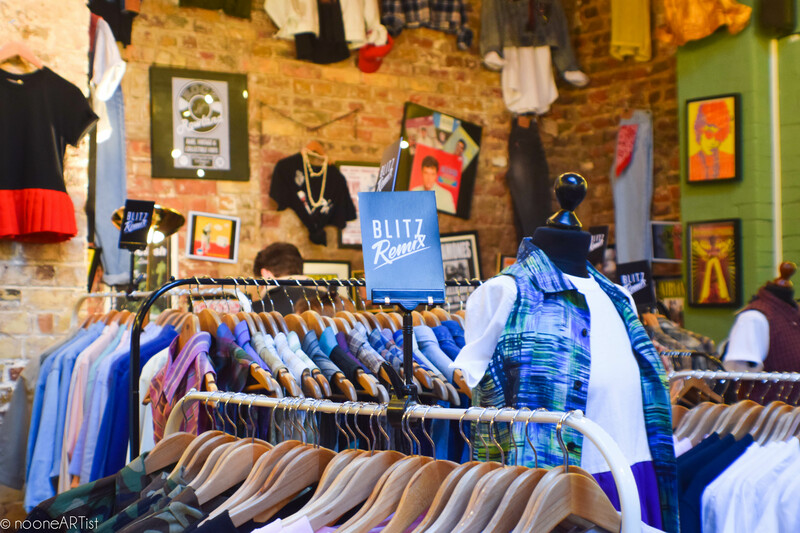 BLITZ is the biggest vintage shop in Europe bringing together clothes, shoes & accessories – Across 60s, 70s, 80s, 90s and millennial trends. Here is the history of how it all started in 2010.
nooneARTist: so, how and when BLITZ was started? Gennaro: It all started in 2010, when the owner of the shop had been already working in vintage field for many years. 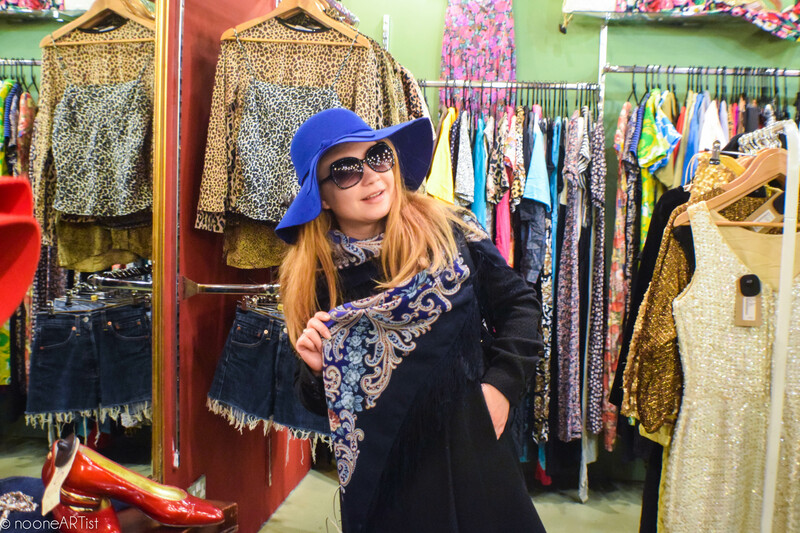 She tried to mix fashion and retro, so she opened this shop in August 2011. 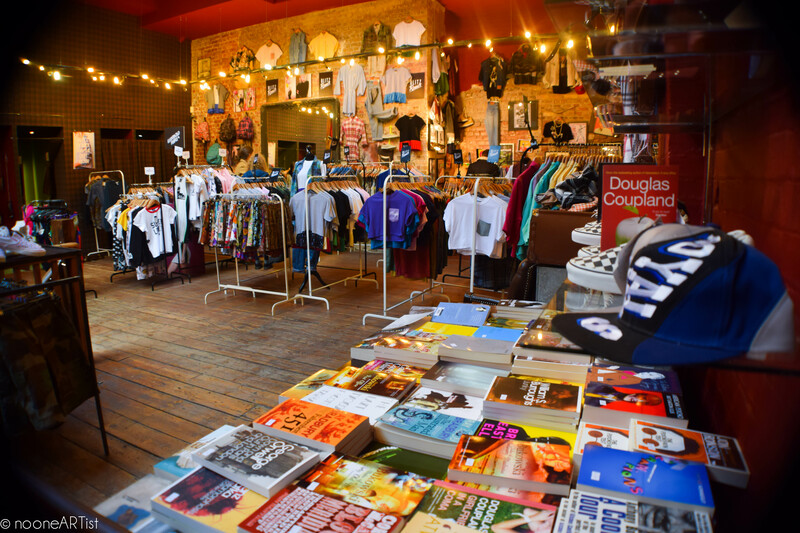 We don’t like the idea of dusty and old vintage like some other places in London. BLITZ is a mix of retro and fashion with a neat and cool environment. 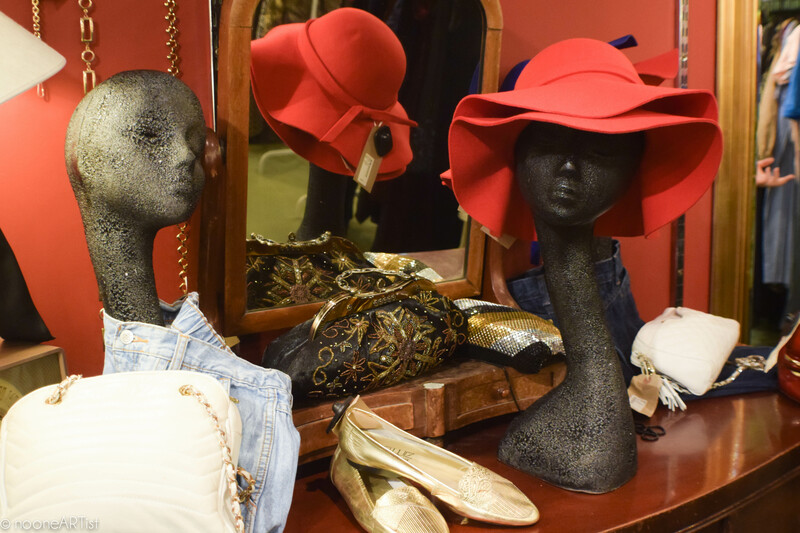 Our main goal is to bring vintage to a new level. nooneARTist: What about the clothes? Are all of them second hand? 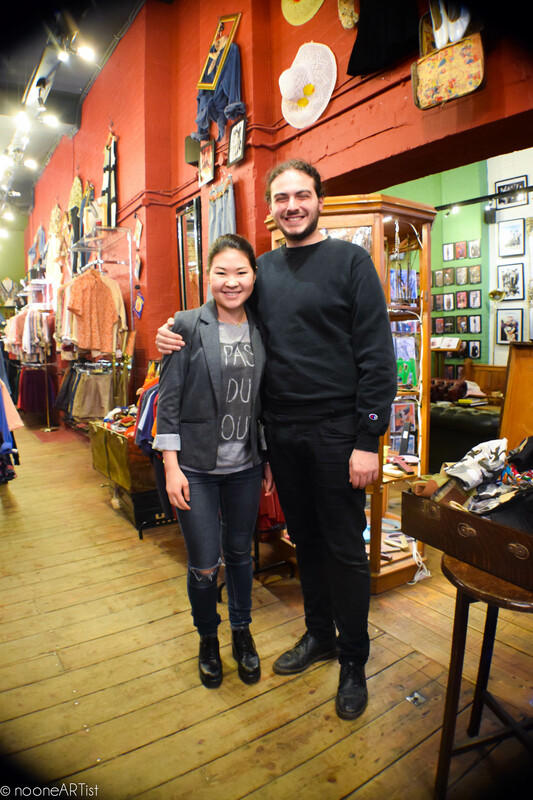 Gennaro: 90 percent of the clothes are second-hand. 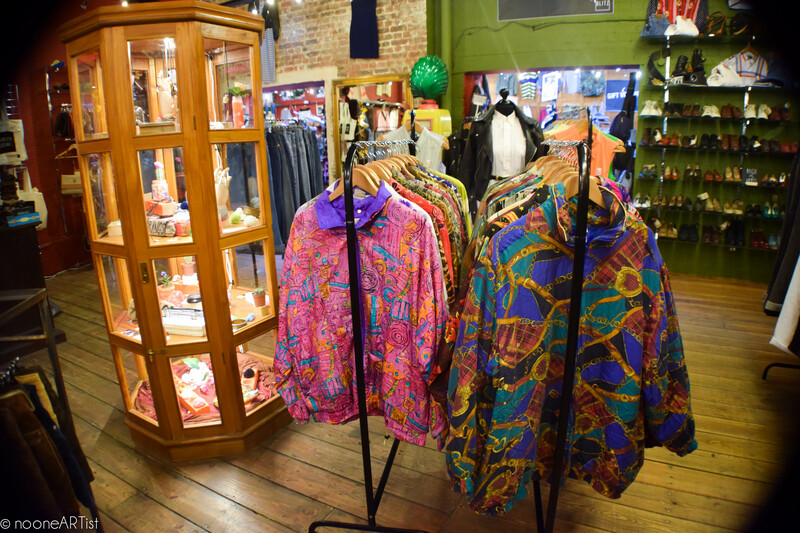 The other 10 is a “dead” stock, which means that it was never worn before because it has never been sold (which is very rare and thus more expensive); or some brand new clothes which are sold by other people through our shop. nooneARTist: You also have BLITZ Remix clothes collection, what is it about? Gennaro: This is the stuff that we rework. For example, the shirt might be brand new but the pocket that it has is vintage. nooneARTist: Do you work with other brands? Gennaro: Yes, we have a concession with Topshop in Oxford Circus, one in Westfield, Stratford and we are going to open one in White City. It will be a year since we started working with Topshop. It is going really well. I think, it is a revolutionary thing for retro – to be sold at regular stores, so anyone can have something vintage. nooneARTist: So, what is the trend this year? Gennaro: This year it is going to be about 70’s. nooneARTist: Have you been collaborating with celebrities? 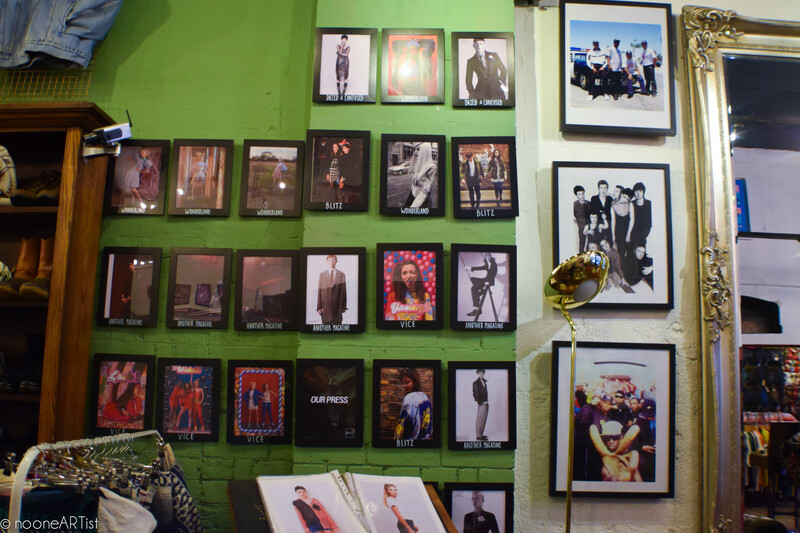 Gennaro: Yes, we have the whole wall dedicated to the fashion magazines that we have been working with. A lot of celebrities have been here as well. nooneARTist: So, who did the interior design of the shop? Did you hire an interior designer to do it? Gennaro: Actually the owner of the shop has been working in interior design for 30 years now. Unfortunately, I can’t say her name, it is top secret. The only thing I can tell that she is an English lady (laughing). 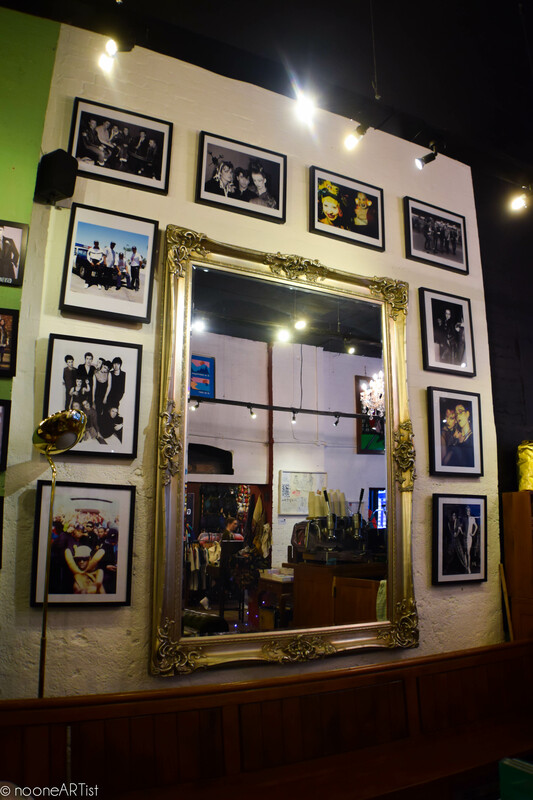 So, pretty much everything that you see here from mirrors to wall paintings was bought on auction at Angel. Even the bricks that we used to build the walls are from there. 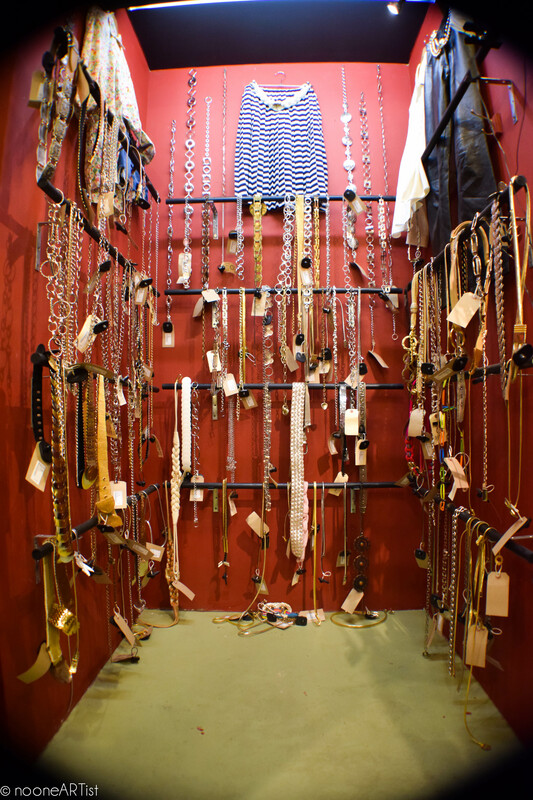 Other pieces like till that you can see there is from Dog&Wardrobe shop. The fabrics and colours that we used for decoration are a mix of grunge, rock and retro, but at the same time it all looks fashionable. nooneARTist: Cool, thank you so much for your time! 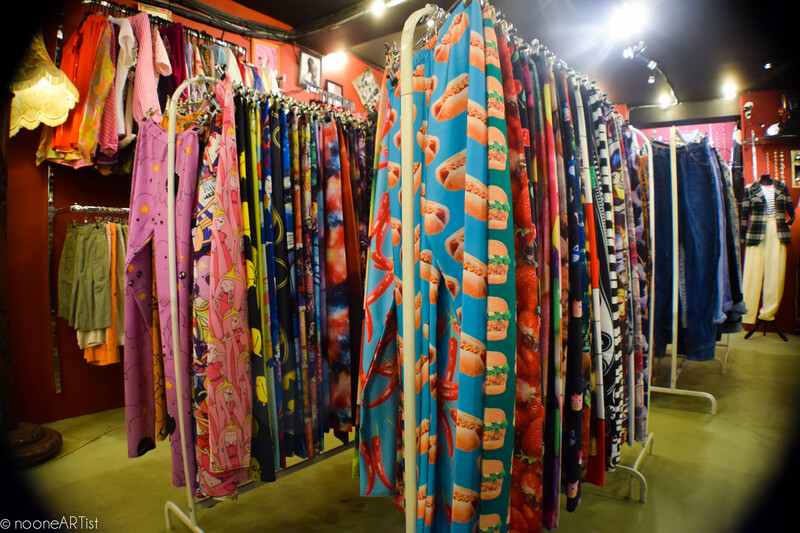 Look at this collection of leggings! 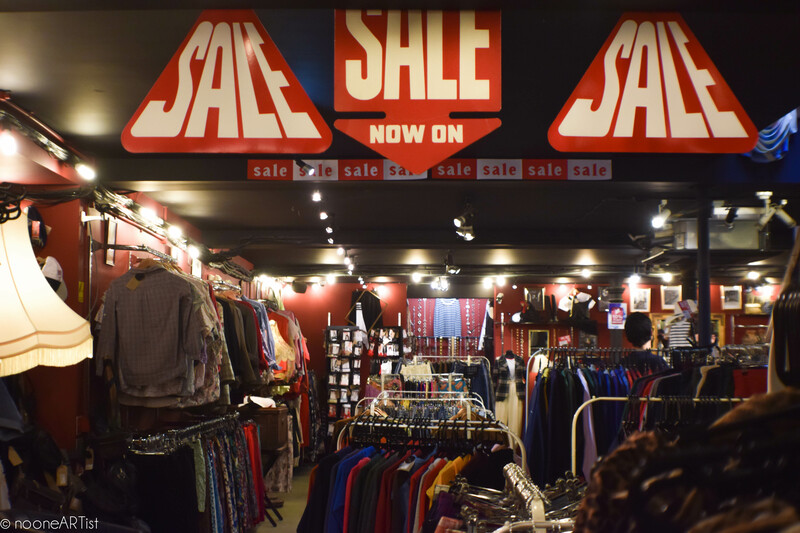 and the sale is on! And a completely different look! Look at those burgers! Yum! 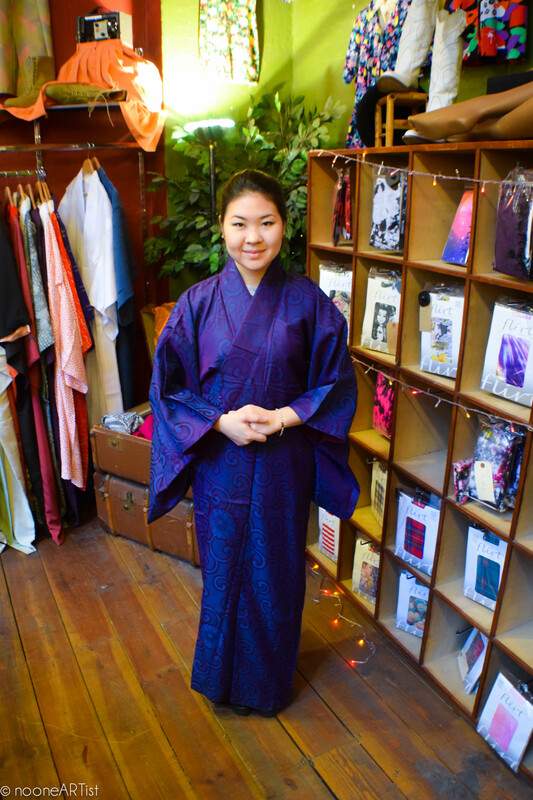 Overall we were really impressed with the quality and quantity of clothes in BLITZ. 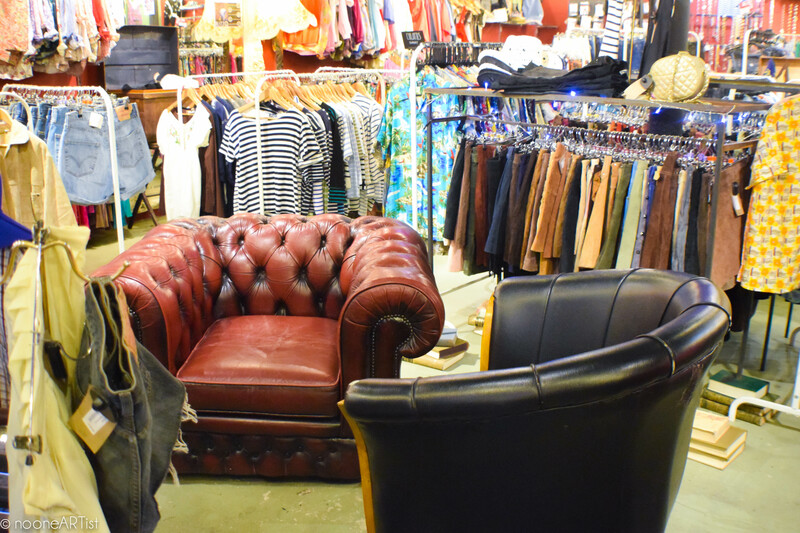 It definitely has the widest range of vintage stuff in London. The decor, music, and atmosphere itself make an enjoyable pastime. Even if you are not too keen on vintage clothes, you will find more wearable things in BLITZ remix collection. Just explore and enjoy it! Tags: antique, best shop, BLITZ, fashion, retro, rock, shop, vintage. Bookmark the permalink.